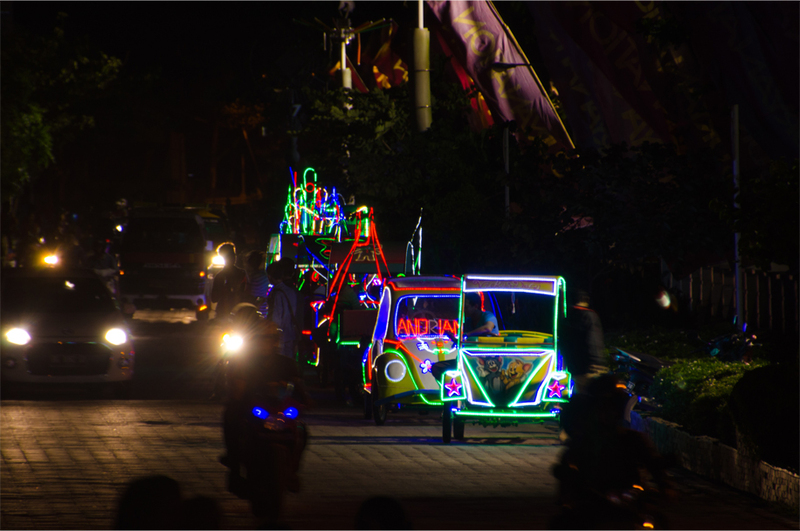 Outside the walls of Benteng Kuto Besak, a hulking fortress on the banks of the Musi River, Palembang is celebrating the start of another weekend. 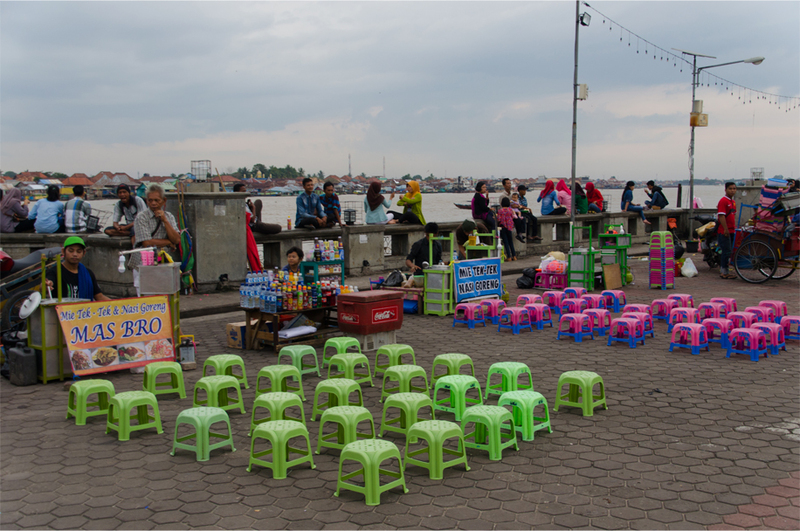 A procession of street vendors, all selling mie tek-tek and nasi goreng, call out to prospective customers; hungry diners sit waiting on tiny plastic stools in green and bubblegum pink. A grinning busker takes his place in the crowd, performing several popular love songs. Nearby a group of young residents sit in a tight circle. One has a guitar slung over his shoulder, and while the busker croons he plays a stream of notes in unison. In the same way I’m encouraged to fall in step with the rhythms of this easygoing river town. Bama and I have perched ourselves on the rough concrete parapet, indulging in a pastime that Indonesians call nongkrong. The word describes the act of sitting outside and doing nothing, and I find it a refreshing change from the non-stop rush of my native Hong Kong. Sitting beside the Musi, there are simple pleasures in abundance: the cool evening breeze brushing against our faces, the sight of swiftlets circling in the skies overhead. 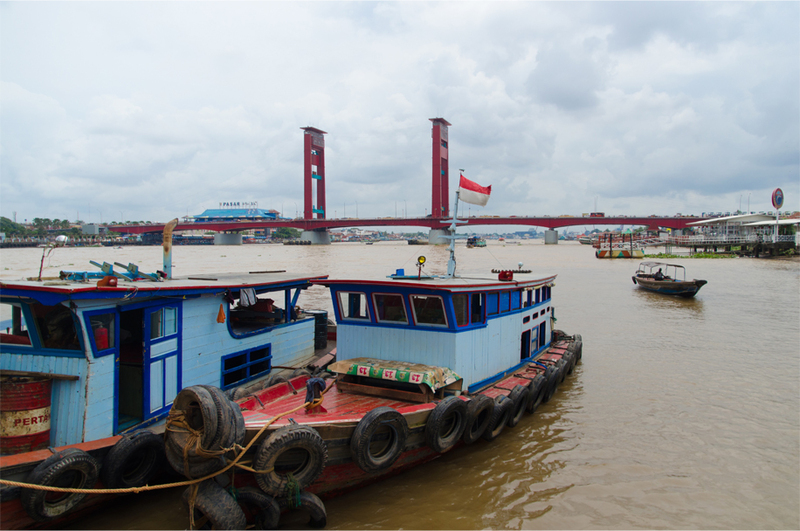 We take in the low drone of motorboats and the hum of traffic rumbling by on the Ampera Bridge, its spans and twin towers coated in cheery red paint. I hear the wailing voice of a muezzin projecting from the Great Mosque as he prepares for maghrib, the sunset call to prayer. Upriver the clouds are turning a dusky orange, and when the skies darken the small box-shaped lanterns on the parapet flicker to life. Of all the places I had visited around Indonesia, I never thought I would fall for Palembang. It does not have the rippling rice terraces of Bali, the dreamy beaches of Lombok, or the monumental temples of Yogyakarta. 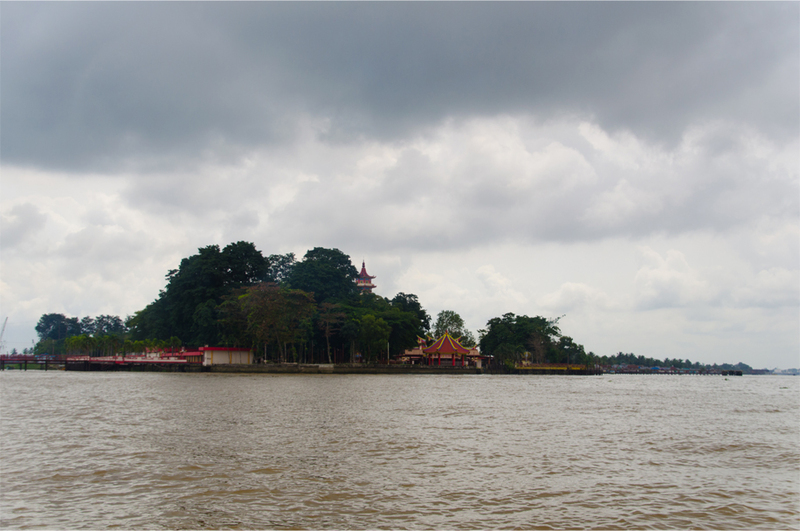 Palembang is grimy and industrial, a convenient transit point to access the mountains and rainforests to the southwest. But it is also one of the oldest cities in Indonesia. Over 1,000 years ago, Palembang was the heart of the maritime Srivijaya Empire, a hegemonic city-state that ruled the vast majority of Sumatra, two-thirds of Java and the entire Malay Peninsula. At the height of its power, Srivijayan territory extended to the Isthmus of Kra, and its navy carried out raids as far as northern Vietnam. Srivijaya controlled the strategic Strait of Malacca, and throughout its lifespan from the 7th to 13th centuries, the empire enjoyed strong economic ties with China and close links to the Buddhist Pala Empire of Bengal. Today the name Srivijaya is invoked in everything from a fertiliser company (Pupuk Sriwijaya, one of the biggest in the country), to an airline, a local university and a recently-built sports stadium. But it wasn’t always so. For centuries the maritime empire had disappeared from the collective memory of South Sumatra, until French archaeologist and historian George Coedès rediscovered it in the 1920s. Since then, scholars have reconstructed that history from the scant remains found in Palembang and farther afield: religious statues, commemorative stone inscriptions, and Chinese ceramic sherds. On a quiet morning at the South Sumatra Museum, Bama and I see the Kedukan Bukit inscription, a rounded lump of rock carved with several lines in Old Malay. The inscription uses the squiggly Pallava script developed in southern India, and is dated the year 605 Saka (683 AD), making it the oldest surviving specimen of the Malay language. 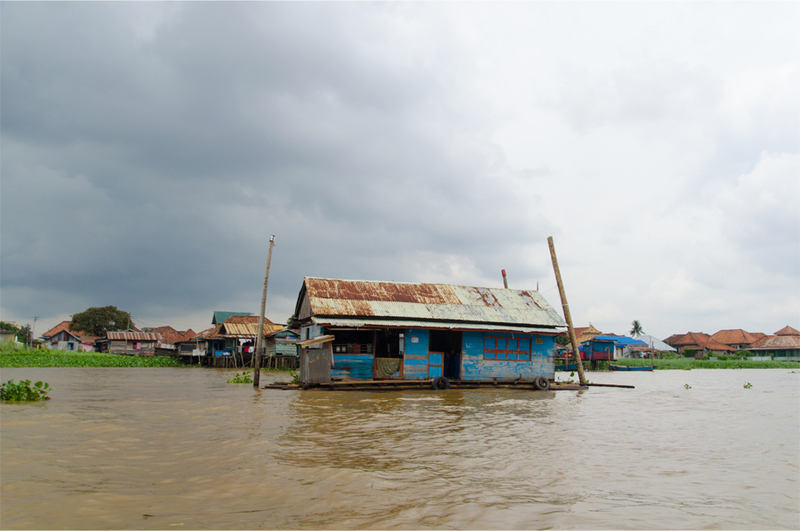 From the days before Srivijaya, the Musi River has played a central role in the growth and development of Palembang. 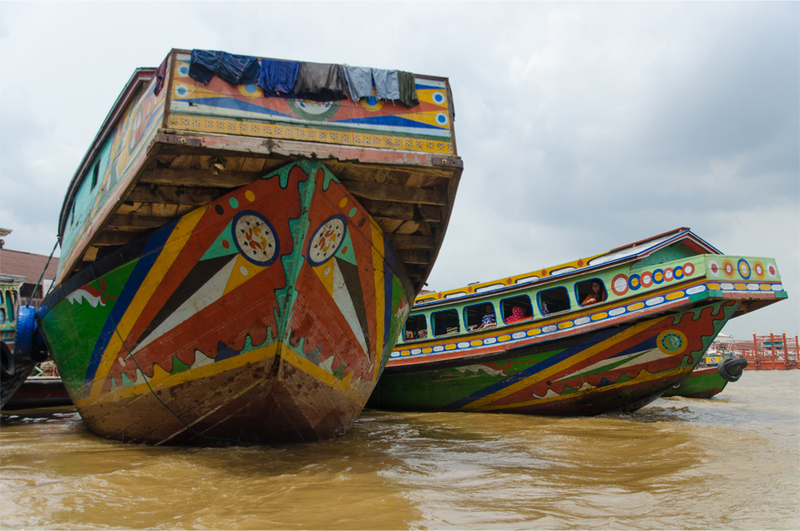 Its importance is such that the river even shares its name with the local language. 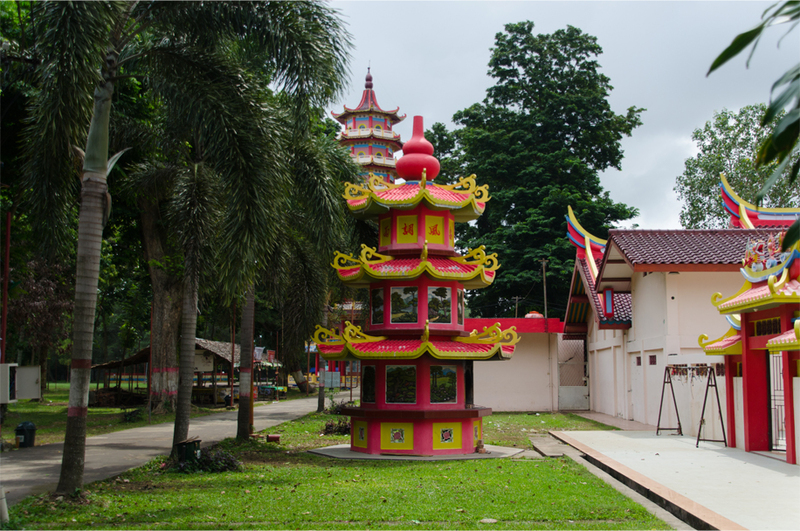 Dividing the city into Seberang Ilir (the north bank), and Seberang Ulu (the south), its silty waters have allowed the exchange of goods, ideas and faiths from abroad. 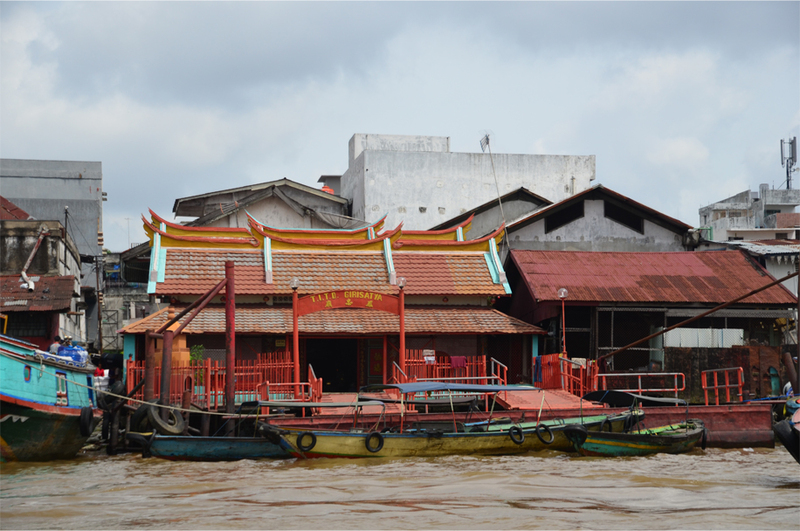 On our first afternoon in Palembang, we take a speedboat ride to Pulau Kemaro, a river island known for its celebrations on the final day of Chinese New Year, Cap Go Meh. The thrilling (and admittedly scary) ride downstream is not for the faint of heart. Bama tells me the width of the Musi is comparable to the Chao Praya in Bangkok, and as we sit low in the water, I feel dwarfed by its enormous size. 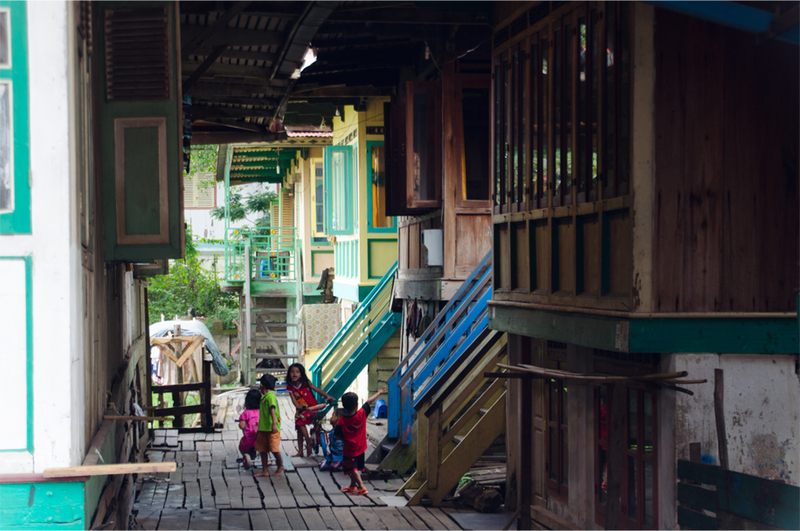 We barrel past floating shacks, stilted houses and people bathing in the tan-coloured waters. The pilot takes us between ocean-going container ships anchored off the port, and soon the acrid stench of ammonia stings our nostrils as we pass the belching chimneys of a fertiliser factory. Scanning the horizon, I wonder where Pulau Kemaro could be amid all the industrial grime. But soon enough a lonely pagoda emerges out of a clump of greenery, as does a Chinese temple by the water’s edge, its sweeping roofs suggestive of a ship’s keel. It strikes me as an improbable, mirage-like scene. Sadly we are ten days late for Cap Go Meh. Instead, Pulau Kemaro is a wasteland of empty food stalls and rubbish strewn in the grass. In front of its nine-storey pagoda a small herd of goats sit idly on the paving stones. But we also find an inscription detailing a tragic love story involving a local princess, Siti Fatimah, and a Chinese merchant called Tan Bun An. Legend has it that after they married, the happy couple paid a visit to Tan’s parents in China who gifted them with seven jars. On the return journey, as they sailed up the Musi towards Palembang, the merchant opened the jars to find them filled with salted Chinese cabbage (bak choy). In his anger he took the jars, one by one, and threw them overboard. The seventh jar fell and broke on deck, revealing the treasure hidden beneath the pile of salted cabbage. Tan and a guard then jumped into the river to retrieve the other six. When neither of the two surfaced, so too did Siti Fatimah. All three disappeared under the Musi’s muddy waters. This legend supposedly took place in the days of the Palembang Sultanate, when Buddhism in Sumatra had long been supplanted by Islam. 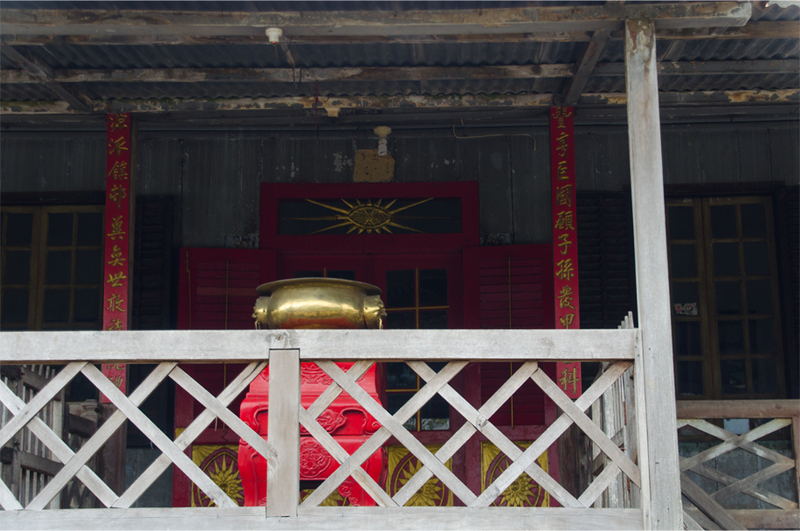 But the Chinese connection remains strong, leaving its mark on the local cuisine and historic neighbourhoods such as Kampung Kapitan. 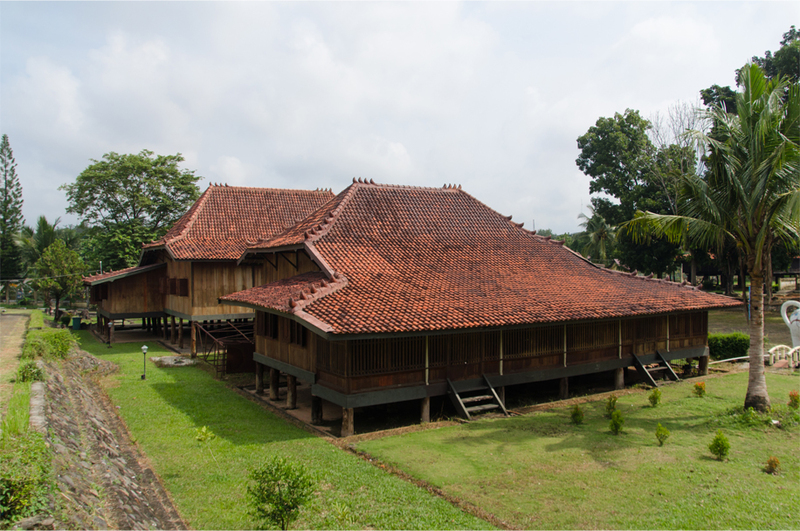 It wasn’t only Asian merchants who came to buy valuable goods such as white pepper and hardwoods from the Sumatran hinterland. 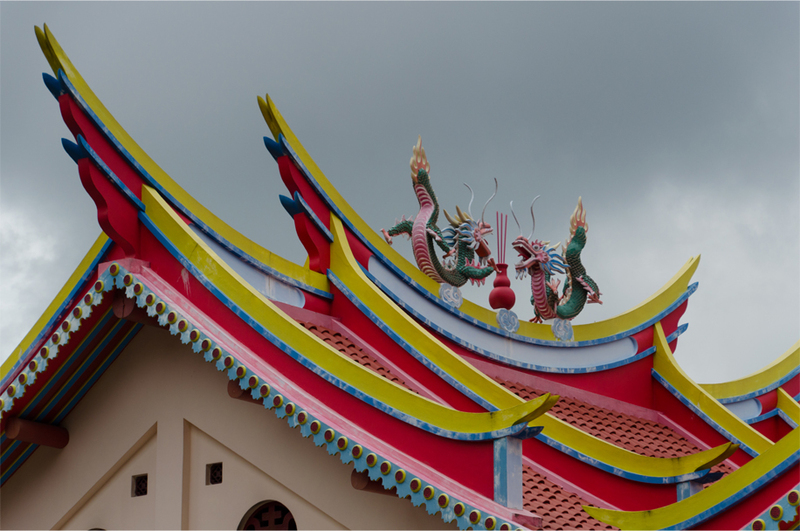 The Europeans arrived from the early 16th century onwards, driven by their thirst for spices, and Portuguese traders eventually joined Chinese settlers on the south bank of the Musi. By 1811, Palembang had found itself in the middle of a power struggle between the British and the Dutch. Both nations had their eye on the sultanate for its mineral resources, not least the large reserves of tin. 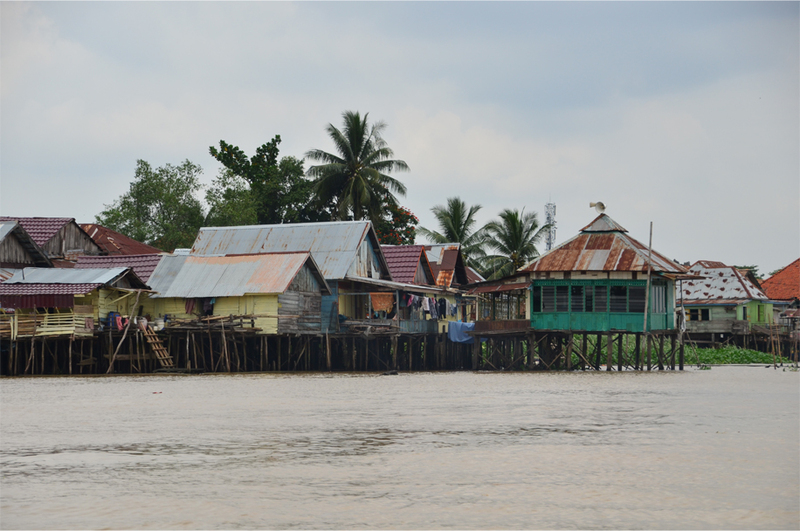 Of chief importance were those on the island of Bangka at the mouth of the Musi, which were first discovered a century earlier. The sultanate was reluctantly drawn into a series of wars, first with Britain and then the Netherlands. When British forces occupied Palembang, its ruler, Sultan Mahmud Badaruddin II, fled with his loyal followers to a position far upstream. In his place the British installed his younger brother as a puppet and forced him to cede the island of Bangka. Sultan Mahmud was eventually allowed to return, ushering in a period of infighting between the two rulers. The situation was further complicated by the Anglo-Dutch Treaty of 1814, in which Britain agreed to return the vast majority of Dutch colonial possessions it had occupied since 1803. Bangka was exchanged for Cochin (Kochi) and other territories along India’s Malabar Coast, and the treaty brought Palembang back under the Dutch sphere of influence. In 1818, Sultan Mahmud was restored to the throne with the help of the Dutch commissioner. But he mistrusted the sultan and issued an ultimatum the following year, demanding him to hand over the crown prince as a guarantee of loyalty to the Netherlands. Sultan Mahmud reacted by driving the Dutch out of his kingdom. It was another two years before they could muster 5,000 troops and hundreds of warships for a counterattack. June 1821 coincided with the Islamic month of Ramadan, and the warring parties had an unwritten rule that they would not fight on Friday and Sunday, in accordance with their respective holy days. But the Dutch launched a surprise attack in the early hours of Sunday, June 24, when all of Palembang – civilians and soldiers alike – was partaking in the predawn meal of sahur. By July 1 the Dutch flag was fluttering over the walls of Kuto Besak. Sultan Mahmud Badaruddin II was taken prisoner and exiled to Ternate (on the far side of the archipelago), and two years later the Sultanate of Palembang was formally dissolved. Nearly two hundred years have gone by, but post-independence Indonesia has not forgotten this sultan who resisted European colonisation: today he is widely recognised as a national hero. Palembang’s international airport bears his name, and it is Sultan Mahmud’s portrait that adorns one side of the 10,000-rupiah banknote. But Palembang, we learn, is not a city that dwells in the past. 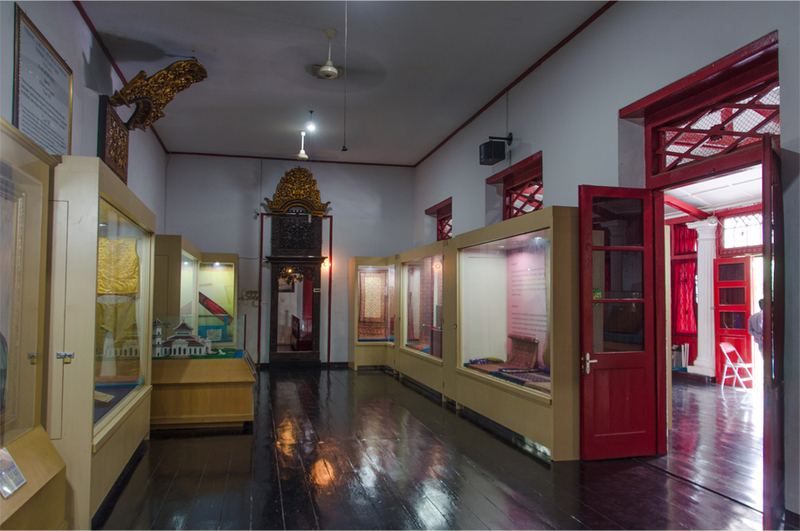 The halls of the South Sumatra Museum are devoid of people, save a gaggle of teenagers in the special exhibition room. Another historical museum, housed in the upper floor of the colonial Dutch commissar’s residence, is similarly empty. Instead we find its residents out on the riverbank, in the streets or indulging in a pastime that is universally celebrated across Asia. We get our first glimpse of Palembang Icon, the city’s newest mall, from the inside of a taxi. It fronts a man-made lake surrounded by palms and deciduous trees, and its assortment of balconies and stepped glass walls give Palembang Icon the appearance of a high-tech business centre. 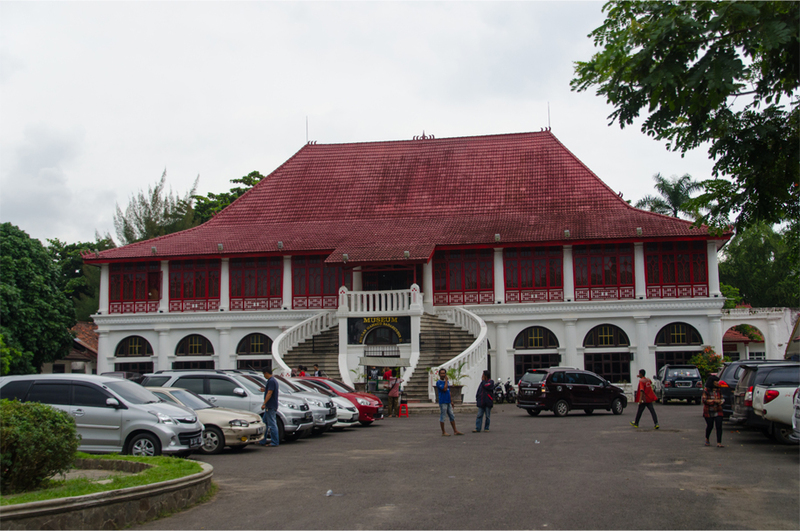 Attached to the mall is PSCC, a multipurpose venue where the latest Indonesian Film Festival (FFI) was held. Bama says it is Indonesia’s equivalent to the Oscars. Just a few steps from our hotel, Palembang Indah Mall provides a fascinating look at Indonesia’s rising middle class. In one atrium, a crowd gathers to watch group after group of teenagers battle it out in a street dancing competition. Burly men shop for new clothes and shoes at Planet Surf, while young women pick from the eye-catching display of donuts at J. Co, an Indonesian brand. Bama and I succumb to temptation, buying a half-dozen donuts with fillings of banana, Belgian chocolate and avocado cream. From the top floor we ascend an uninspiring staircase into a secret den of luxury. At Cinema XXI, even the lobby is decorated in wood panelling and an elaborate carpet in gold and green. The sweet aroma of buttered popcorn hangs in the air as cinema-goers lounge in plush armchairs, waiting for screenings of the latest Hollywood releases. Staff members stand to attention on the sidelines, decked out in perfect, unwrinkled formal attire. I feel hopelessly underdressed in my shorts and sandals. 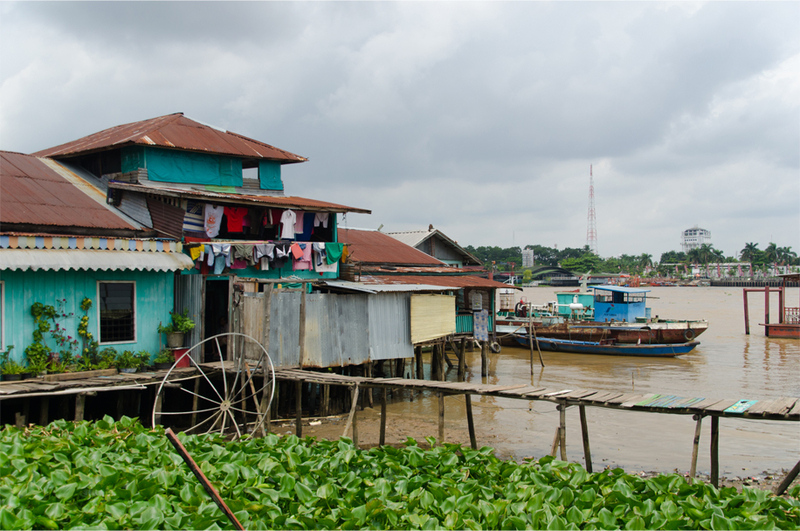 Palembang Indah is not nearly as upscale as Palembang Icon, but it stands in stark contrast to the rows of neighbouring tenements. All are four storeys high, built in concrete breeze blocks and roofed in corrugated iron. Some apartments sport air-conditioning units; others have satellite dishes for cable TV. The ground floor is populated by a succession of warungs. 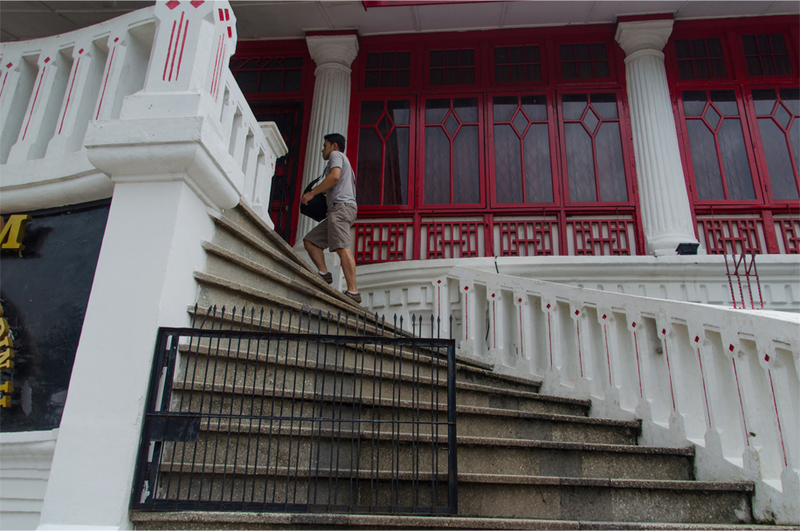 Up a set of rickety wooden stairs, we spot a hand-painted sign saying “Dokter Gigi”, Dentist. The exterior walls are lovingly whitewashed, and its windows shaded by striped awnings that wouldn’t look out of place in a Mediterranean resort town. It strikes me as part of a captivating whole that is raw, mildly chaotic and unrestrained in its expression. I can’t quite pinpoint why I love Palembang so much. Perhaps it is the food, the long history and the fact that it simply exists as a normal Indonesian city. Palembang does not scream for attention, nor does it pretend to be something it isn’t. Perhaps it is the openness and laissez-faire attitude we find on the street: young couples strolling hand in hand, and veiled women eating donuts or deep-fried chicken while the slightly more dutiful are in the mosque for Friday prayers. Great post! I like that you love Palembang because it’s a normal Indonesian city. These days “normal” usually gets overlooked, but every place has beauty and appeal if you care to look closely enough. Interesting pasta Bama was eating in the video! Wah! Great that you like Mie Celor. Palembang is undeniably a culinary heaven. It’s one of my favourite dishes from Sumatra, that’s for sure! James, very nicely done, again. You have a very nice way with words. And I liked the interweaving of history with your experience there. I spent four months on Sumatra in the late 80’s, always meant to get down to Palembang, never did. Now after reading this, I’m sorry I didn’t make it. Guess I’ll have to go back! When do you start the Spice Route gig? Where are you starting from? Cannot wait for THAT story. I really appreciate that, Badfish. And thanks too for reading the whole way through – it was a very long post! I’ll admit the writing was pretty tough. I got bogged down in the history in an earlier draft and ended up doing some major trimming. Sumatra must have been very unspoilt in the 80s; sometimes when I read about these accounts, I wish I was born some 10 or 20 years earlier. The Spice Route trip begins on July 1st and I can’t wait to return to Indonesia. I’m sure the stories I find will be enough to fill an entire book! Yep, a long post, but very cool. I know what you mean about being born earlier. I kind of wish I was born like 50 years earlier. Or maybe 100. Or…if I’m wishing, I’d wish someone would invent a time machine. Love your video!! It brought Palembang alive which… honestly before your post… was just a place on a list of cities where we needed to ensure a couple folks were recruited. (Embarrassing but true!) So thank you for the fabulous history lesson and current insight into what seems like a rather interesting place. I love such ‘normal’ places! You’re welcome Carissa! Palembang was endlessly fascinating and I love that fact that it doesn’t market itself as a glossy tourist destination. I’m glad you enjoyed the video – I’ll be the first to acknowledge that it is shaky and unpolished (especially the scene inside the taxi) but then again Palembang does have a raw, gritty feel. Next time I’ll have to bring a tripod! James first let me say I admire your attention to the details. Your eloquent writing weaves the facts beautifully together. It is great to read a post about a lesser known part of the country. Including the video really gave me a feel of the place and it’s people. Thank you for including it. It’s my pleasure, Sue. Thanks in turn for watching the video and reading the entirety of this post – it was a whopping 2,000+ words! 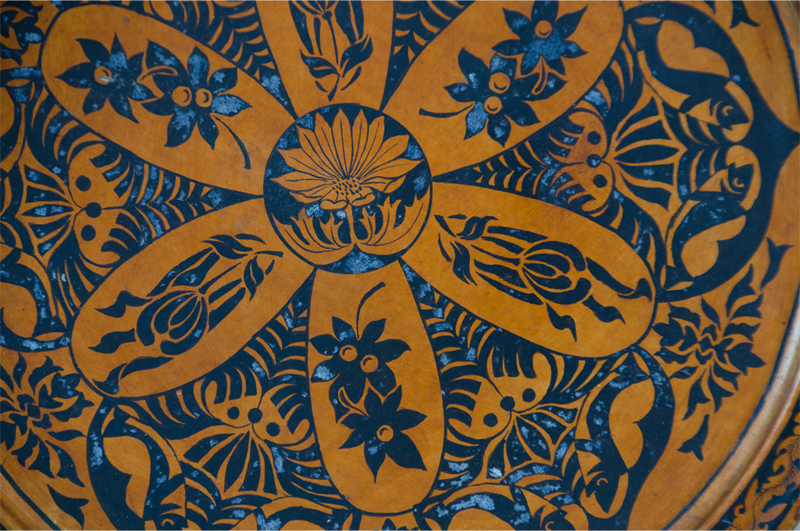 The video was inspired by Madhu’s own clips at The Urge To Wander. It was a lot of fun to put together and surprisingly took less time than the writing! James I am not sure I could manage such a length! Good for you to persevere. 🙂 Well done! Expectations are everything, aren’t they? 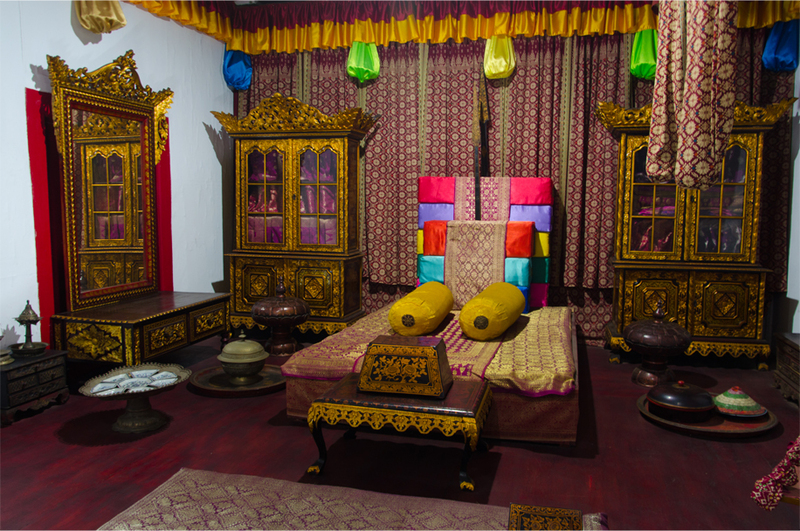 The first time I stayed in a certain hotel in Tibet I was expecting it to be a terrible fleabag place, so when it was moderately clean I thought it was pretty nice! Upon returning, I expected it to be pretty nice, but when I walked in with those loftier expectations, I realized it really was a horrible hovel! Not exactly the same as your topic, but I think sometimes we are so pleasantly surprised by a destination that we can’t quite figure out why we like it so much! You’re absolutely right! I learned the hard way that it is far better to go somewhere with less expectations – and as you said it still affects us on repeat visits. Recently I read an article that said our disappointments are often not a problem with the place itself, but have more to do with our own mindset. That was an interesting way of looking at it. 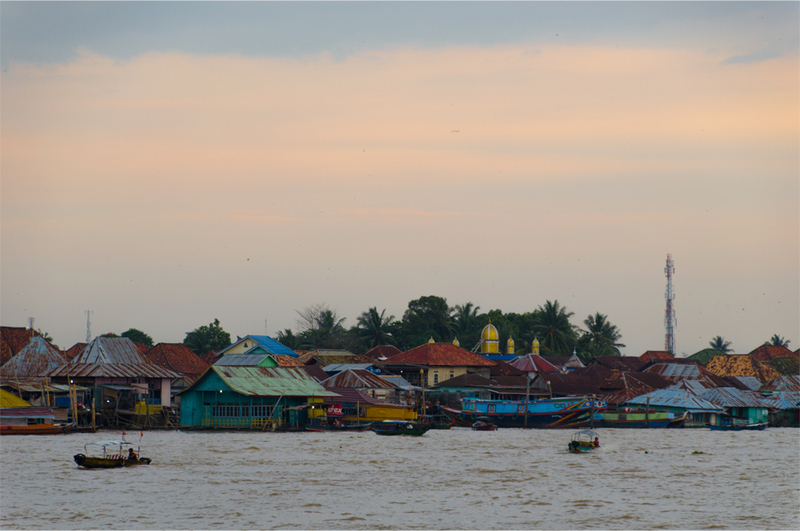 Photographs look beautiful…never been to Palembang, but your post makes me want to jump on a plane and head off! I’m glad it had that effect on you! 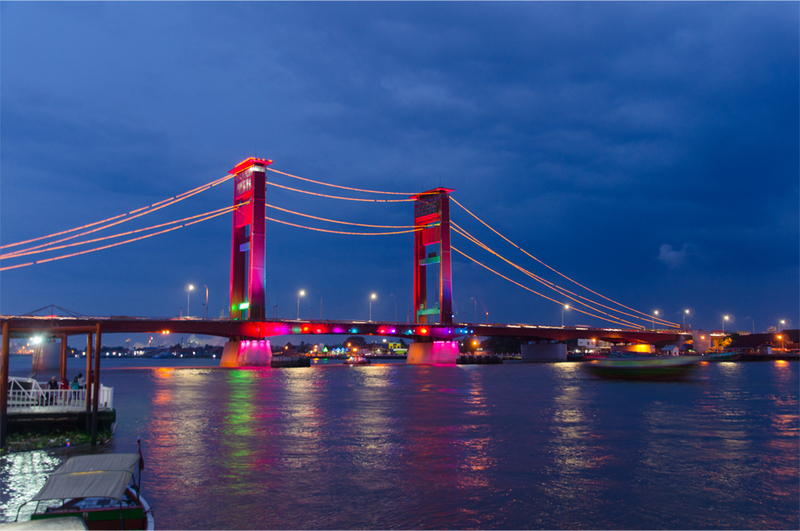 Palembang has a lot of life and colour – the city is photogenic in its own special way. It is amazing how music can jog your memory – I think sounds and smells are even more powerful in this area than what you see. Loved the fact that it reminded you of that cassette! I still remember the time when my parents had a collection of those in the car. Agree, there is nothing better than falling into step and the rhythm of a town upon arrival, and from your writing and photos you and Bama are very good at at this ~ the best way to truly understanding the place and then of course giving us all a great introduction into the history. Thank you so much, Randall. 🙂 I guess the history will be boring for some, but it is so important for understanding why a place has become the way it is now. Definitely, as Randall says, thanks for the intro into the history. I love the video! Thank you, Angeline! I’ll admit the video is not very professional (I can just imagine a director friend telling me I ran out of shots) but it is also a nice test run for future trips. Well I think I’d better put Palembang on the list! I love the idea of nongkrong, and those donuts sound delicious! I love the sense of colour and energy and life you’ve conveyed. I think I would enjoy this city. Thanks for the post James, personally it’s so persuasive. Thank you! Palembang was surprisingly photogenic. Di malam Sungai Musi dan Jembatan Ampera indah banget! Thanks for the reblog. 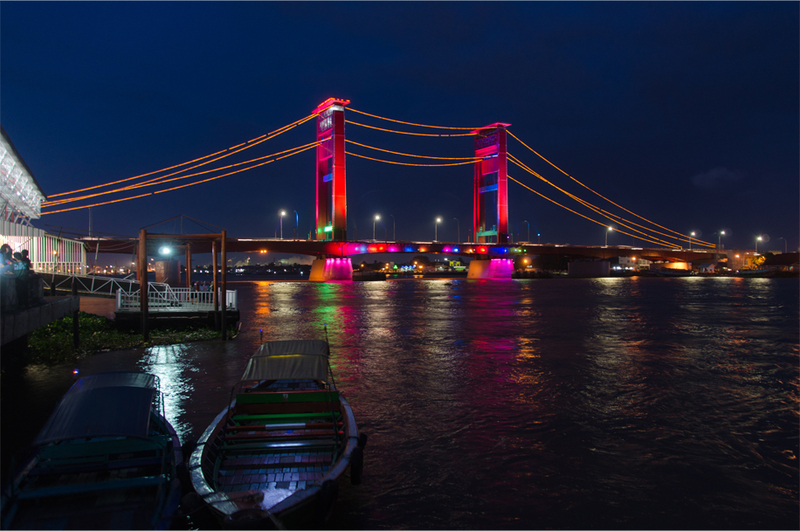 Palembang has two wonderful museums, a few historical sites dotted around the city, some markets, and a great river where you can take a speedboat ride. The food is also a major highlight. Your welcome n thanks for you consideration . I love that word – it has such a ring to it! Matt, I’m glad you found something that really resonated with your own experience. We all need a bit of nongkrong in our busy lives. This is a good experience. Because i never visited. But now i want to and i will. You fream it beautifully. Reblogged this on ayupujirahayu's blog. Thank you for the comment, Ryan. Best of luck with your writing! I appreciate the reblog – thanks for that. What a lovely little Indonesian city you have opened my eyes to. Great job! Keep up the good work! Congrats on being freshly pressed. Thank you for the lovely comment, Crissy. Blogging takes commitment and it’s great that you’ve also started a Facebook page for your blog. I should have done that a long time ago but never got around to it. Hope you’re also enjoying this long weekend! Hi there, thanks for the reblog! You’re very welcome! Can you please reblog my blog posts? I’m trying to promote independence and independent travel for people with disabilities. Thanks! I appreciate this – thank you for dropping by. gan.. tlong ajarin saya donk saya newbie.. boleh mnta pin bbm nya gan sya serius pengen lebih mendalami lagi tentang ngeblog. Sama-sama Eka, terima kasih untuk membaca ini. Thanks for the reblog, it’s much appreciated! I had put Palembang on my top list of ‘Indonesian cities I need to visit”. But I still can’t find the right time to get back home. It’s very informative article, James. I wish I could arrange my time and schedule to visit Palembang soon. Makasih banyak, Nurul. 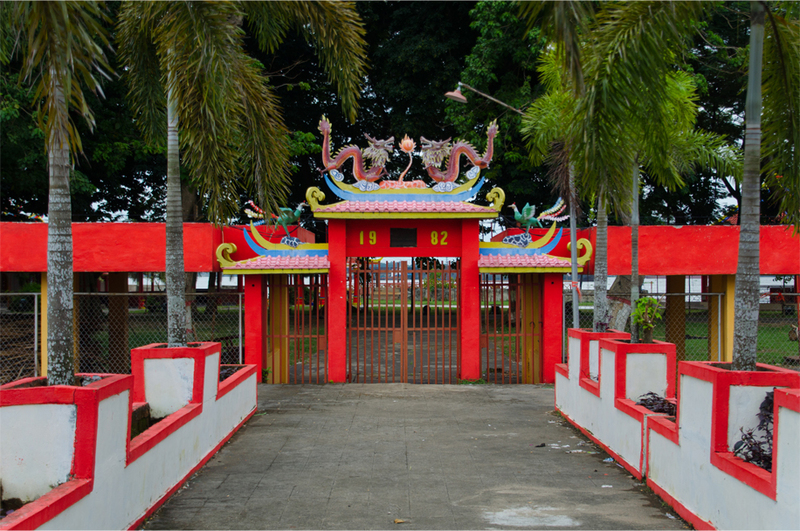 Palembang is not a typical tourist destination but that is part of its charm. I loved how “normal” and down-to-earth the city was. Hopefully you’ll get to visit in the next couple of years! Reblogged this on Darling, where to next?. Such a beautiful read James. 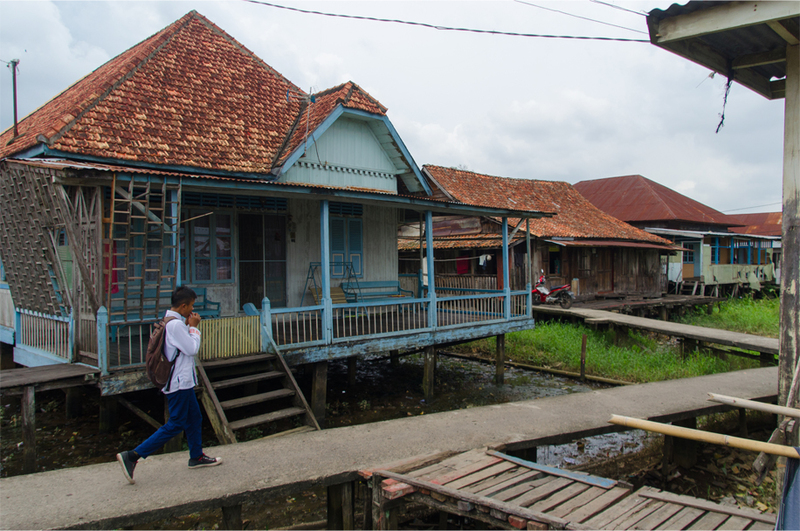 Your narrative takes us past the images into the essence of life in Palembang. I enjoyed the historical details the most. You should consider compiling your fabulous Indonesia chronicles into a book. I would stand in line to buy it 🙂 Congratulations on being Freshly Pressed once again! Well deserved. Thank you so much for the lovely comment, Madhu – reading it first thing this morning sure put me in a good mood. 🙂 I don’t think I’ll compile a book from the stories here on the blog, but I’ll be sure to write one from the Spice Odyssey! 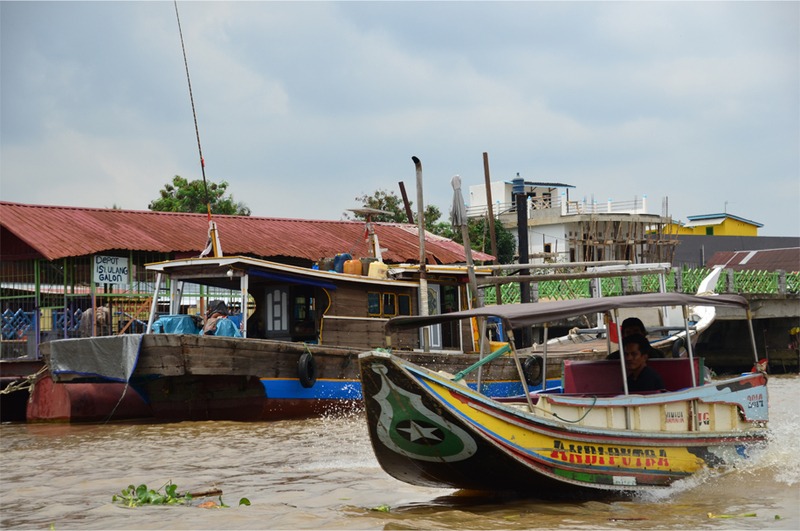 i would be gladly accompany you as a tour guide if you contact me before exploring Palembang…. Makasih Dedy! It’s always nice when local bloggers enjoy and approve of a post. Thanks too for the kind offer, I’ll keep it in mind the next time I come! I enjoyed your blog James, happy to have found it! I’m glad you do – thanks for leaving a comment! I appreciate the reblog – thanks for that!